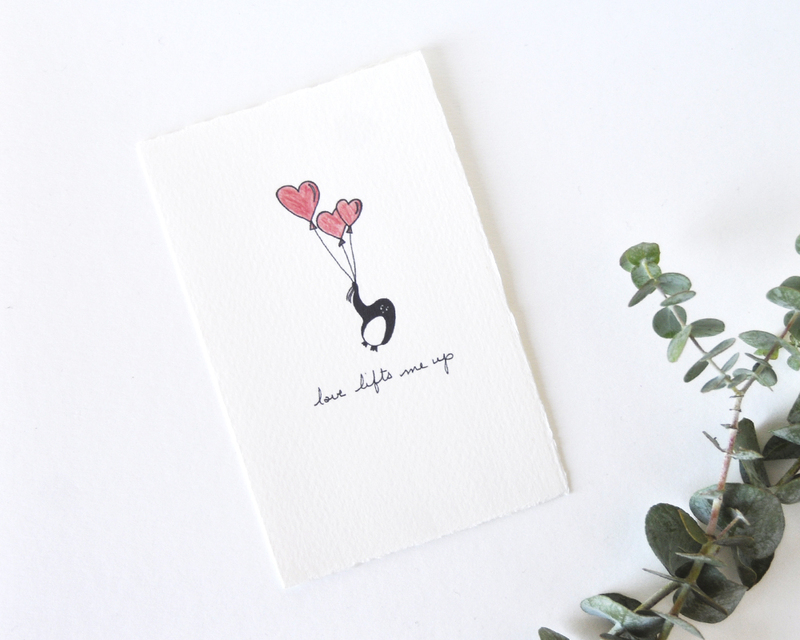 Love Lifts Me Up was one of the first cards that I created for the shop. It was also one of the first major interactions with the people that were following along on social media. I had drawn the little penguin and the balloons and made a caption for it, but it didn't quite work for me. I posted the image of the penguin on Facebook and asked what words should go with it, and "love lifts me up" is the one that I thought suited the image best. It was a great way to collaborate and complete the card.